Yakuza Kiwami, the remake of the first game in the popular series, is coming to PC on February 19th. 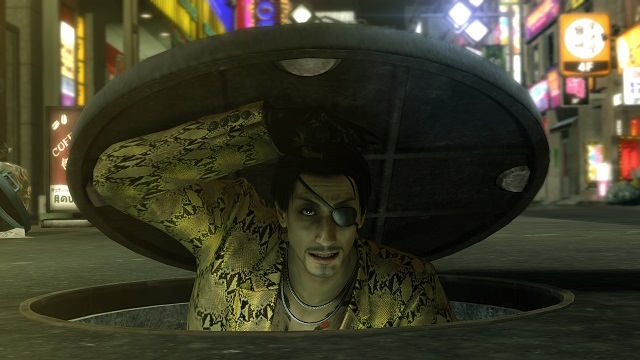 It has been announced about half a year ago, when Yakuza 0 first brought the series onto PC, but the exact release date was unveiled only days ago. There’s a new trailer that brags about all the fancy, PC-specific features, like unlocked framerates and 4K support, and also gives a glimpse of the game in action. If you’ve played Yakuza 0 (and you really should, it’s a superb game), you’ll feel right at home here. It takes place 15 or so years after the prequel, setting Kiryu loose in Kamurocho after he spent more than a decade in prison for a crime he didn’t commit. Much has changed, including his blood brother Nishiki, who seems to have gone off the deep end. It’s supposed to be pretty faithful to the original, apart from the combat, which is identical to that in Zero (same engine and all). Of course, the writing and mini-games might be a bit off compared to Zero, thanks to a decade of experience and fine tuning. Still, it should be fun. It’s going to be sold for $20, which is a surprisingly reasonable price. If you preorder it (which you can), you’ll get 10% off and some digital goodies. However, we’d advise against it. Yakuza 0 was a decent enough port, especially if played with a controller, but the tech support was abysmal. It launched with some pretty serious bugs (audio glitches, controllers not being recognized), some of which haven’t been fixed to this day, even after several patches. Just to be safe, at least way for day one, when all the dirt and grime is going to be apparent to all interested parties.